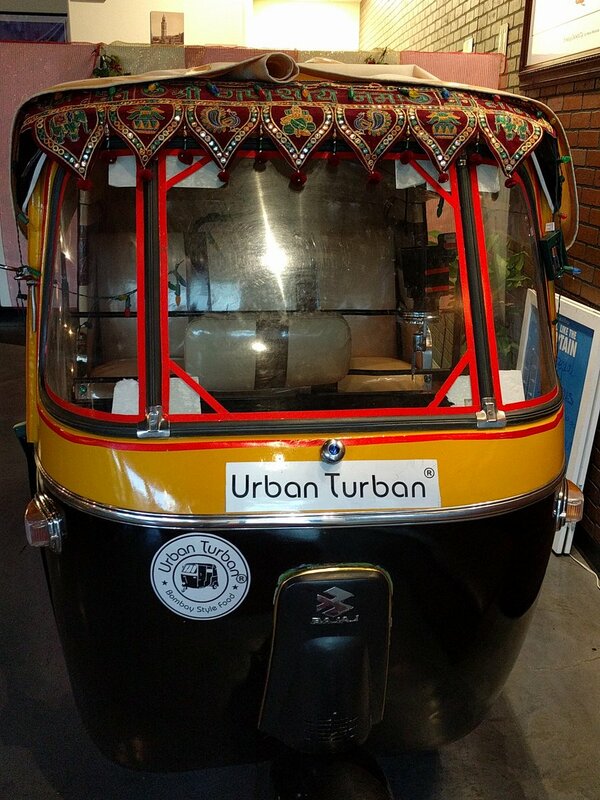 Urban Turban was opened in 2014 by owners Bhushan and Jasmine Arolkar, drawing inspiration from their hometown of Bombay to showcase a wide variety of cuisine styles from all regions of India. Awarded 2nd in Best Ethnic” restaurant by Las Vegas Review-Journal “Best of Las Vegas” 2016, Urban Turban recently expanded with Urban Turban Express at The LINQ. 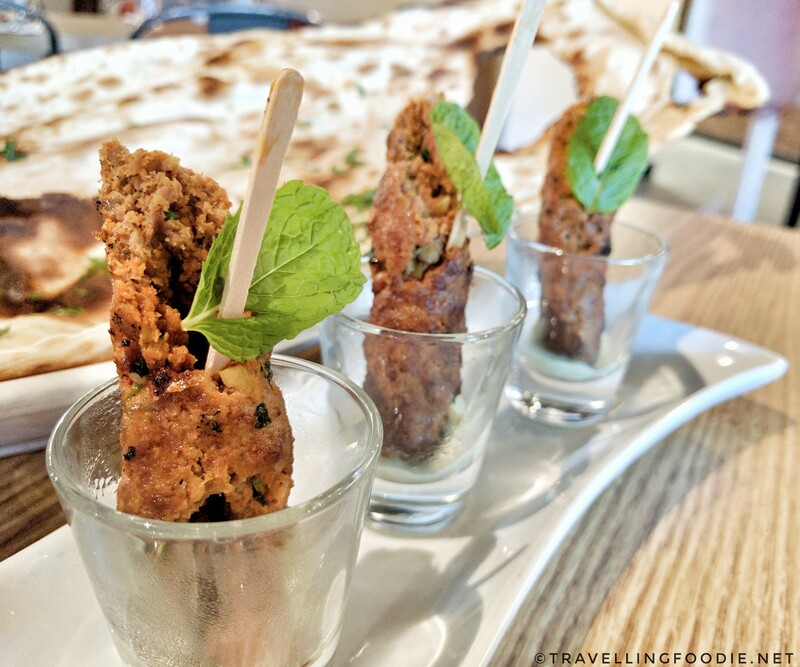 – For vegetarian, they had salad, potato and onion pakora, rice, papadum, cabbage poriyal, aldo mutter, exotic kadhai vegetable, dahi tadka and paneer lababdar. We went on a Wednesday, and one thing I pointed out to the chef was the variety of meat could be better as 3/4 of the items were chicken. He noted that weekends would usually have a fish item. Fresh naan is also served to the table. Depending on the number of people, you can either get a basket of naan which they serve for 1-2 people, or a giant naan bread which they serve for 3 and more. My favourites in the buffet were the tandoori chicken, paneer lababdar, potato pakora and naan. The tandoori chicken was one of the best ones I’ve had so far. It was very tender and juicy with the strong tandoori flavour, which I loved! The paneer lababdar was had very soft and silky paneer cubes in a creamy and aromatic sauce. The potato pakora reminded me of Mojos from Shakey’s Pizza – such a great snack. The fresh naan was just amazing and also one of the best ones I’ve had. 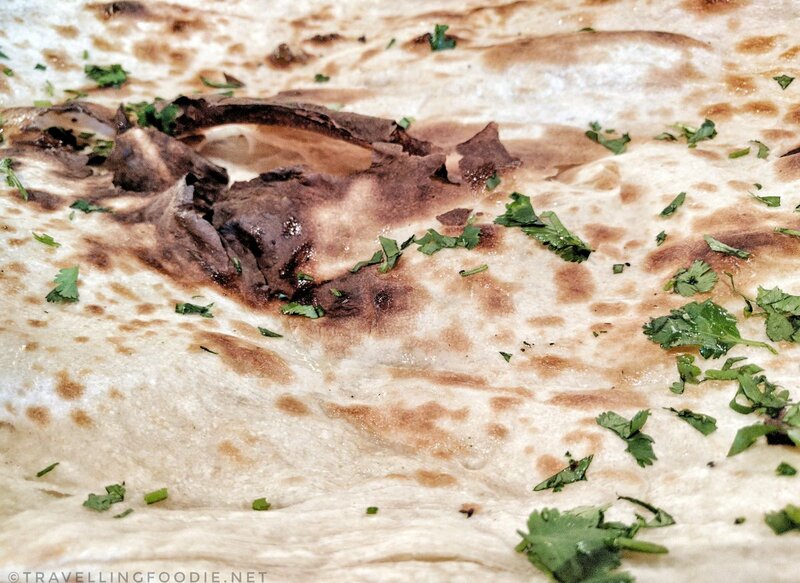 It was sort of a hybrid of roti and naan: the flakiness of roti and the softness of the naan. The Lamb Sheekh Kebob was packed with lamb and I loved the spices that they put. It was a bit spicy, which I like, but it really elevated the taste of the kebob! Their dishes go so well with the mango lassi. It’s a great palate cleanser from the curry and spice, plus it’s very refreshing! The chocolate samosa was surprisingly good. I love that they used dark chocolate so it wasn’t too sweet, and the filo pastry was done well and didn’t crumble. 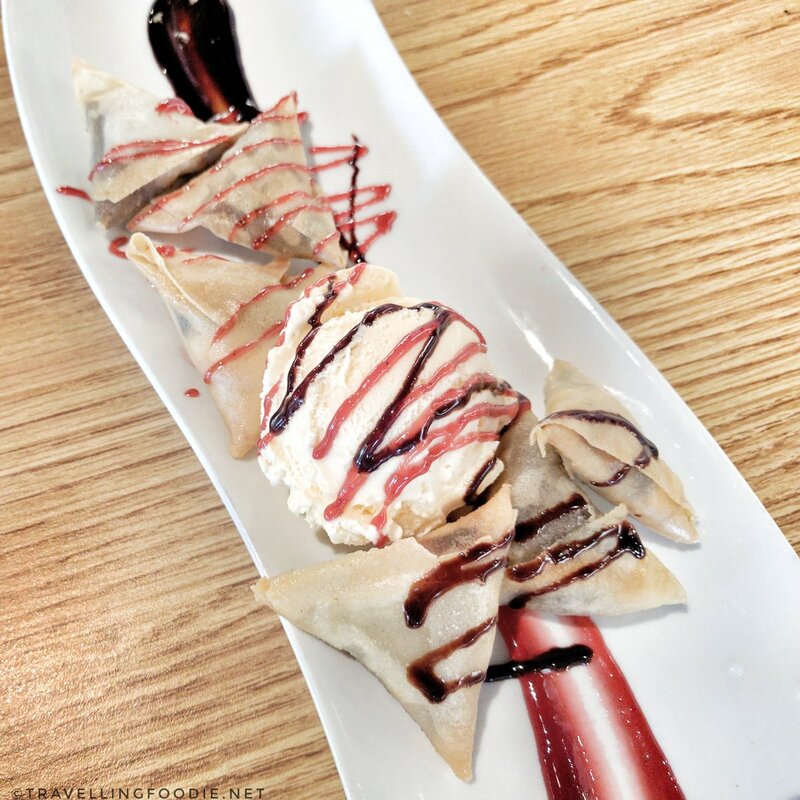 One thing I can do without is the chocolate and raspberry syrup that they drizzle the samosa with as it takes away some of the taste from the chocolate samosa. I had the pleasure of meeting Executive Chef Tarun Kapoor. He’s very humble award-winning chef with over 15 years experience all over the world – India, Europe, Qatar, USA and cruise lines. The extensive menu from Master Chef Tarun Kapoor integrates traditional Bombay flavors and spices with modern Indian favorites in this restaurant. – Mango Lassi – mango yoghurt sprinkled with cardamom powder, mango pulp, sugar and cardamom dust. Posted on January 18, 2017 by Travelling FoodiePosted in Food, Las Vegas, Nevada, USATagged people, restaurants.